Herbs are used extensively in doing magick. 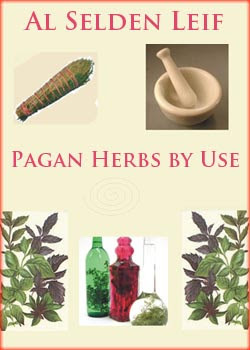 In this book youll learn about Using Herbs in Your Magick Making, Herbs properties and Their Magickal Uses. Herbs are used in many religions such as in Christianity (myrrh (Commiphora myrrha), ague root (Aletris farinosa) and frankincense (Boswellia spp)) and in the partially Christianized Anglo-Saxon pagan Nine Herbs Charm. In Hinduism a form of Basil called Tulsi is worshipped as a goddess for its medicinal value since the Vedic times. Many Hindus have a Tulsi plant in front of their houses. Drugs and plants with psychoactive substances have been used world wide as entheogens to induce spiritual experiences. An example of this are the shamans in Siberia who used herbs and fungi such as the fly agaric mushroom (Amanita muscaria).